Get hands-on help from the OpenLab team. Walk-in office hours-- no appointment necessary. All event requests must adhere to event submission guidelines. This does not replace the need to submit a PN-60 for events requiring use of college facilities. 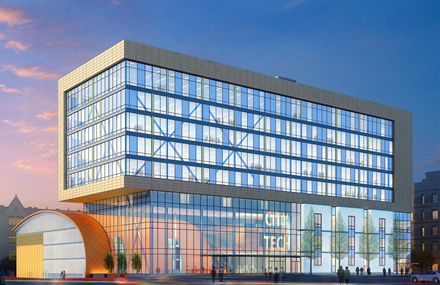 The City Tech Calendar is only for College-related events; all other requests will be denied. The goal of an event description is to publicize the event so the college community is aware of what is happening on campus. Keep in mind your intended audience as many will make decisions based on what is available to them. Event descriptions should be simply written in a clear and concise manner. Avoid the use of slang or jargon and the use of exclamation points (!!!). Do not include personal contact information for questions on events. In general, attendees will decide whether to attend based on the event description. In the rare cases where an email address or phone number is appropriate, it should be departmental, not individual. Remain factual, but try to make the description enticing to the target audience. Every event should include a specific location, including a street address if the event is available to the general public. Some events may "belong" to more than one category. If that is the case, choose the second option on the pull-down menu: "more than one." A list will appear, allowing you to select all of the categories to which your event pertains. All requests to the City Tech calendar should be submitted no later than one week prior to the start of the event. It is recommended, though, that you proofread everything carefully, as the description will be displayed on the public-facing calendar. Once a request has been submitted it may take anywhere from 24 - 72 hours before an event is approved. An event is not official until you receive an email confirmation and is posted on the City Tech events calendar. Once a calendar request has been submitted it will make its way through the approval process, an event is not "live" until it appears on the calendar page. If a change needs to be made, email the calendar administrator at calendar@citytech.cuny.edu. Once your event has been processed an email will be sent, even if the event request has for any reason been denied. Failure to adhere to submission guidelines can delay the event approval process and delay posting to the college calendar. Designated Calendar Administrators can access the calendar here.